It's Not Work, It's Gardening! : What's going on here? 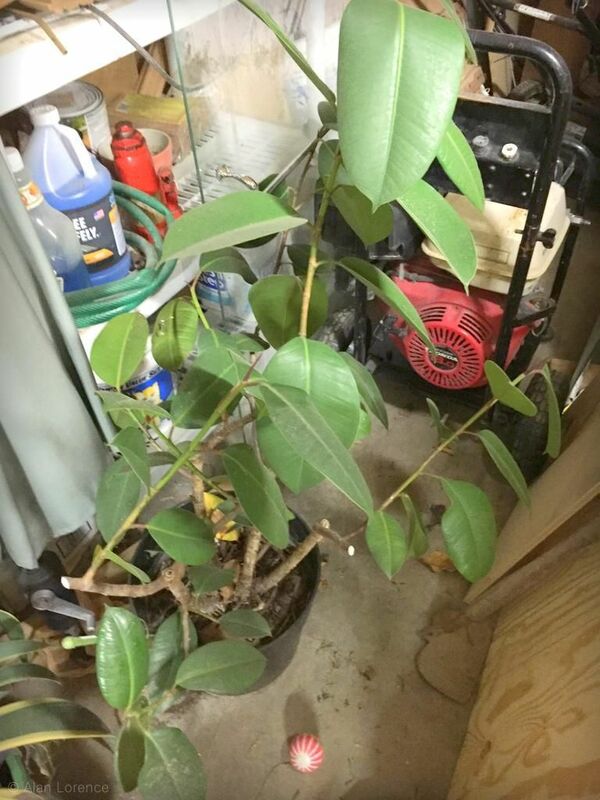 Well, one of the plants that I've been overwintering indoors every winter for the past five years or so -- or maybe I should say it's a houseplant that I've been bringing outside every summer? -- is a rubber fig (Ficus elastica). Although these plants like most Ficus can get quite tall, mine instead has decided that it's more important to send out lots of side branches, probably because of too little light. It therefore got quite wide, making it difficult to place anywhere indoors. 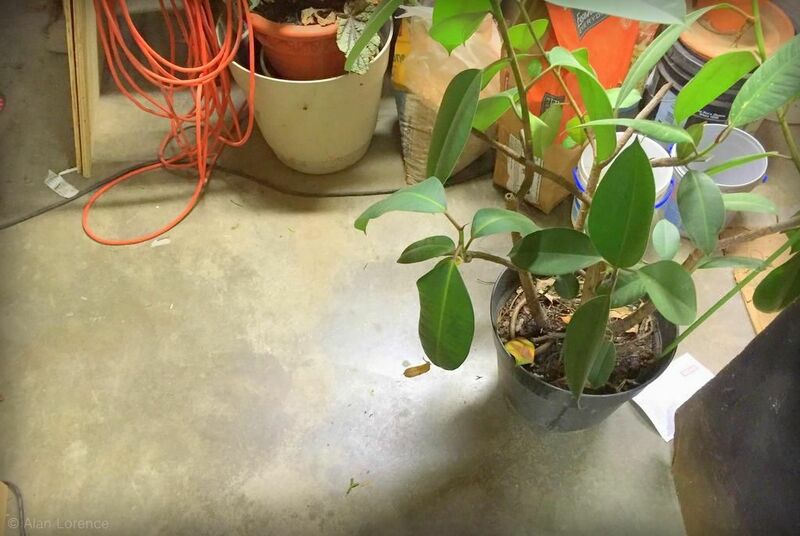 The parent plant will probably remain in the garage for a while longer where it stays semi-dormant. Once we're closer to spring I'll put it somewhere warmer and brighter and will fertilize it. That will get loads more branches emerging just in time to be put outdoors again where they can grow "the right way" with enough light. 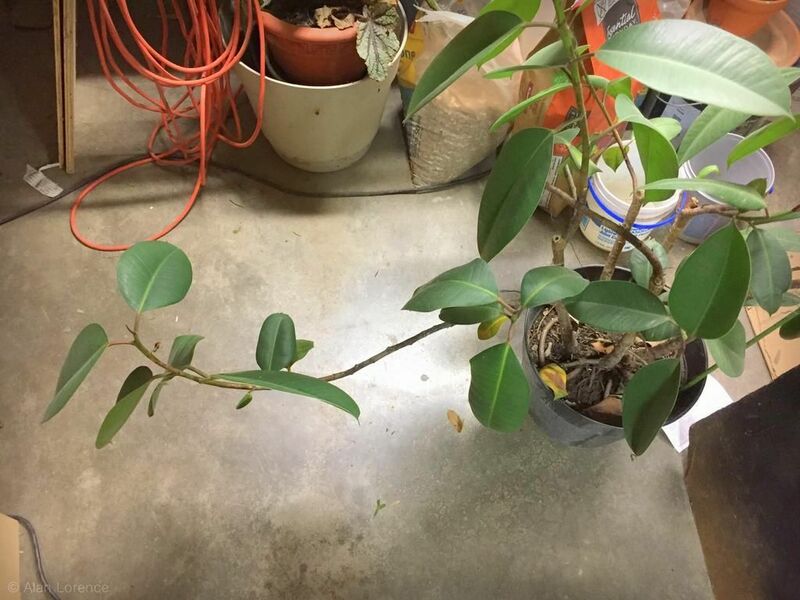 Ficus is such a tough and fun genus! You had me worried there for a minute. Glad to hear that the leaf pile was intentional! 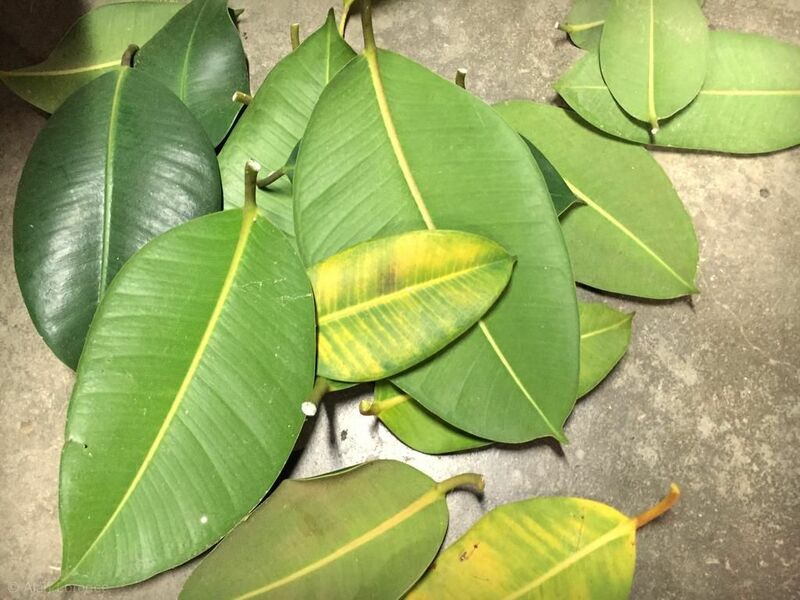 The plant does have an attractive leaf. Its a nice change from the ficus tree and peace lily I see so often. 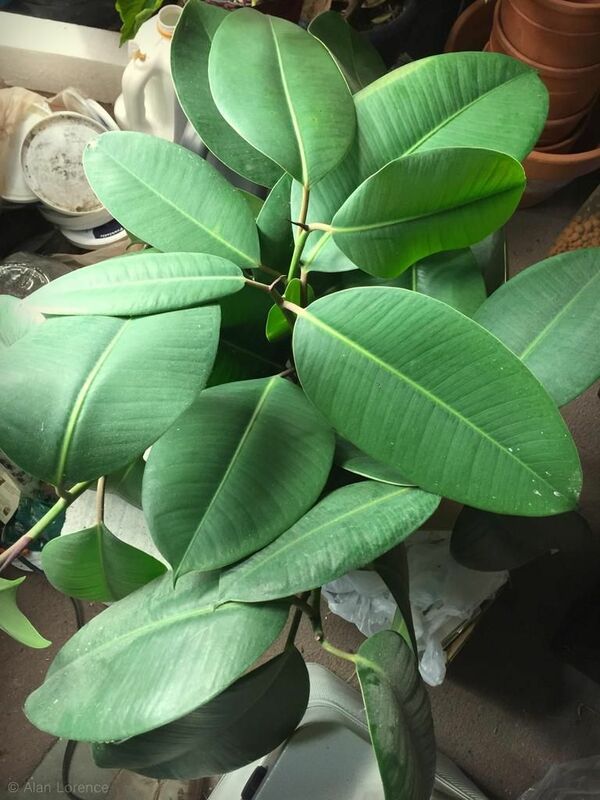 I have one of the more common ficus. It is tempermental to light changes, so I dare not move it. Love how it hangs in there though. It gets very little attention and still grows! Jean: I had one of those years ago but the leaf drop was so annoying! The rubber fig is nothing like that luckily. Maywyn: Yes, a really attractive leaf. Can't wait to see how it does in the garden next year!